Today, the U.S. Supreme Court held that when an employer fails to create accurate time records, courts may rely on expert time studies not only to determine unpaid hours of work, but also to determine the underlying issue of predominance necessary to certify a class. Executive Summary: Today, the U.S. Supreme Court held that when an employer fails to create accurate time records, courts may rely on expert time studies not only to determine unpaid hours of work, but also to determine the underlying issue of predominance necessary to certify a class. The Court's opinion declined to restrict the use of damage calculations based on statistical evidence, and said the use of such methods in litigation can be reviewed by courts on a case-by-case basis. In Tyson Foods Inc. v. Bouaphakeo, (March 22, 2016), employees claimed they were not paid for their time donning and doffing protective gear. These activities could take anywhere from a few seconds to up to ten minutes per day. Whether the wage/hour laws were violated depended on whether the employee worked over 40 hours a week when this time was included in his or her work time. Plaintiffs' counsel hired an expert to determine a representative sample of time associated with donning and doffing that was then used to determine which employees worked over 40 hours per week. Defendants argued that the inaccuracies of the representative sample resulted in employees being included in the class who did not, in fact, work over 40 hours a week, and that statistical data should not be used to certify a class. The Court held that when employers do not possess accurate records, employees are free to use representative samples to certify classes. The burden then shifts to the employer to present, on an individual employee basis, evidence demonstrating why it would be unreasonable to include each individual employee as a member of the class. The Court stated that its decision is not contrary to its earlier decision in Wal Mart Stores, Inc. v. Dukes, because in Dukes the plaintiffs attempted to use a formula to establish a common question of law where none existed, which would prevent defendants from mounting individual defenses against class members, in essence resulting in trial by formula. In this matter, there was a clear common question of law (donning and doffing); however, the issue of the predominance of the violation among the workforce was unclear due to a lack of accurate time records. Relying on the Mt. Clemens v. Anderson Pottery decision, the Court stated that a representative sample was permissible because of the employer's failure to maintain accurate time records. Although the Court refused to establish a bright-line rule regarding the use of representative evidence in all class action cases, it noted that inferences drawn from representative evidence in an FLSA case must be just and reasonable. The Court suggested that employers may consider attempting to demonstrate that the inferences drawn from representative evidence in an FLSA case are statistically inadequate or based on implausible assumptions that could not lead to a fair or accurate estimate of the uncompensated hours an employee has worked. These issues should be raised in a Daubert hearing challenging plaintiffs' experts' methodology. The Court punted the more interesting question, which is whether a court may order a defendant to pay damages to an uninjured party. The jury award in this case was a lump sum payment to the class. The Court stated that it was premature to address this issue because the District Court must first decide which employees worked over 40 hours and were entitled to damages. In his concurrence, Justice Roberts stated that it will be impossible for the District Court to make this determination because the jury provided no findings other than that the class was owed a lump sum. Justice Roberts concluded that any payment to uninjured parties would violate Article III of the Constitution, which prohibits ordering damages be paid to uninjured parties. The Court's decision illustrates the importance of keeping accurate time records for all employees. The Court ultimately found the plaintiffs' use of representative evidence in this case to be permissible because it filled the evidentiary gap caused by the employer's failure to keep time records. 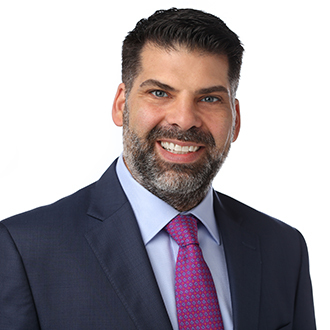 If you have any questions regarding the Court's decision or other labor or employment related issues, please feel free to contact the author of this Alert, Salvador Simao, ssimao@fordharrison.com, who is a partner in our Berkeley Heights office and head of FordHarrison's Wage/Hour practice group. You may also contact the FordHarrison attorney with whom you usually work.